Part I: Understanding the key components of a Planned Maintenance System and how to use the plan to conduct daily and preventative maintenance of an aquatic facility. Part II: Understanding advanced maintenance planning methods, resources, and how current events shape the maintenance solutions of tomorrow. 0.3 Continuing Education Units (CEUs) for this course can be applied to Group B of an AFO renewal. Rick Herold has been a director for more than 30 years. In preparation for this session, he has surveyed more than 50 other park and recreation directors and has compiled a list of "secret" factors that can assist a person who wants to rise to the top spot. Herold is currently making this presentation into a book, and this will be the first time he has put this fun and enlightening session together. A must for those who aspire to be directors! Director of Parks, Arts and Recreation Dept. Grand Prairie Parks, Arts and Recreation Dept. Ms. Black has won many awards in the field of parks and recreation, which include the National Gold Medal Award, KUDOS Award, ROSE Award, Norman Gill Award as well as many other honors. Sue prides herself on transforming lives and spaces. She has mentored and coached many professionals across the Country. Her dogs name was Ranger if that explains how much she loves the field of Parks…. Her new dogs name is Teddi…. Get it. She is a long time member of NRPA, the Wisconsin & Arizona Parks and Recreation Associations, National Association of State Park Directors. Sue has served in many capacities on various Boards and Commissions. She is member of the American Academy for Park and Recreation Administration. Sue served as head Judge in 2014 for the National Gold Medal Awards. This presentation will identify not only successful youth sport programming ideas, but also successful strategies to respond to negative youth sport situations. There is good news and bad news in youth sports. Forty million kids are involved in youth sports programs nationwide. More kids are also dropping out of youth sport and recreation programs than ever before. Park and recreation professionals are dealing with youth sport trends related to the increased pressures to win, the increase in the number of children specializing in one sport at an early age and the increased parental involvement. Park and recreation specialist need to be aware of positive strategies to respond to these youth sport trends, as well as be aware of ways to respond to negative youth sport situations. This presentation will identify not only successful youth sport programming ideas, but also successful strategies to respond to negative youth sport situations. Dr. Fish has spoken nationwide on this topic at numerous youth sport conferences, coaches clinics, and parents' meetings. Dr. Fish has spoken at the NRPA Congress on 13 occasions, as well as at numerous state RPA conventions. He is also the author of the book 101 Ways To Be A terrific Sports Parent (Simon & Schuster, 2003). For a brief bio: Dr. Joel Fish is a nationally recognized expert in sport psychology who has worked in the field for over 25 years. He has worked extensively with athletes of all ages and skills levels, from youth sport through the Olympic and professional ranks. Dr. Fish has been a sport psychology consultant for the Philadelphia 76ers, Philadelphia Flyers, the Philadelphia Phillies Organization, the USA Women's National Field Hockey Team, and the USA Women's National Soccer Team. Dr. Fish has also served as a sport psychology consultant for Saint Joseph's University, the University of Pennsylvania, Temple University, and numerous other universities. Dr. Fish is a visiting lecturer at the Wingate Institute and Zinman College in Netanya, Israel, where he teaches about sport psychology and elite athletes. He has spoken nationwide on sport psychology at over 300 universities nationwide and is a popular presenter at a variety of athletic functions. Dr. Fish has been frequently quoted in the Philadelphia and national media, having been featured numerous times on ABC, CNN, ESPN, Fox, HBO, and NBC. In addition, he has been featured on television programs such as NBC's Today, HBO's Real Sports with Bryant Gumbel, ESPN's SportsCenter and Outside The Lines. He is currently the Director of The Center For Sport Psychology in Philadelphia, where he works with athletes of all ages and skill levels. Dr. Fish received his B.A. from Clark University, an M.A. from Temple University, and his Ph.D. from the University of Wisconsin-Madison. This panel discussion will offer a rationale for balancing the business model with the social service model and share examples of cities finding success in achieving public support from those who utilize services…and even those who don't! In a time where agencies are asked continuously to do more with less, some consider a portion of the cause for declining funding support to lie within our own profession. For too long, we've created our own snowball effect of declining subsidies by establishing a solid business model for what should be considered social services that benefit the communities we serve. This panel discussion will offer a rationale for balancing the business model with the social service model and share examples of cities finding success in achieving public support from those who utilize services…and even those who don't! Early in her tenure in Liberty, Janet Bartnik displayed her talent for developing innovative partnerships by engaging four community partners in a project to study and strategically plan to address childhood obesity through a Healthy Communities Research Group project. She has worked with the Liberty Park Board to develop a new vision, mission, and capital project plan for the Department and has worked with the Liberty Parks and Recreation Charitable Fund to receive public charity status. For a decade prior to joining Liberty's team, Bartnik was the Director in Raymore, MO, a fast-growing community of 15,000 south of Kansas City. Janet has been aggressive in seeking alternative strategies for funding, land acquisition, and had developed a recreation program for Raymore which had previously only had parks. Bartnik holds a B.S. in Exercise Science and an M.S. in Sport Management from Virginia Tech University. Twenty years experience working for Columbia Parks & Recreation administration and 15 years experience as a department webmaster. Served 6 years on the department's Marketing Committee, which helped to develop and implemented the marketing methods of the subject NRPA Session Proposal. The previous 15 years worked as owner and operator of a Dairy Queen restaurant, lending insight into the commercial aspects of marketing. Currently (and continually for 40 years) been enrolled in a public speaking course. “I don't have time." “The Council won't let us." “We don't have enough staff." A culture of excuses is not helping our current conditions. Challenging conventional thinking and pushing beyond comfort zones, this intensive and spirited session promises to be provocative and insightful. Jamie has taught hundreds of professional development and training programs for agencies, at various continuing education schools, and at a number of state, regional, national and international conferences since 1996. Jamie's provocative and engaging style is why she is sought after by so many within and outside of parks and recreation. Speaking to thousands each year, she brings a fresh, compelling, high impact, roll up your sleeves experience to each program she teaches. Jamie's past experiences in collegiate athletics, as a parks and recreation professional and as a university faculty member have fed her passion to help others enhance their own talents and improve performance. Her current work as a trainer, consultant, and executive coach focuses on developing strategic leadership capabilities and organizational effectiveness. Her inherent ability to mobilize people towards a common purpose allows her to direct dynamic processes leading to impressive results. Jamie is an active member of the National Recreation and Park Association having served in a variety of leadership capacities. She is a past President of the American Park and Recreation Society, and in 2008 was inducted as a Fellow into the American Academy for Park and Recreation Administration whose membership is limited to 125 practicing professionals and academicians from across the United States. Social media is great for telling your online audience about your programs, facilities and services, but have you considered using it to really talk with your customers? In this session, you'll learn why social media can become an essential tool for customer service, augmenting program value, engaging your community and getting your fans to help market your programs and services for you. André has worked for the City of West Sacramento's Parks & Recreation department 20 years and has been in the field for over 25 years. He has bachelors and masters degrees in Recreation Administration from Sacramento State University. He teaches part-time in the Recreation, Parks and Tourism Department at Sacramento State University and is a Certified Park and Recreation Professional. He is a site visitor for the Commission for Accreditation of Parks and Recreation Agencies (CAPRA), and for the Council on Accreditation of Parks, Recreation, Tourism (COAPRT). In February 2016, the WHO declared the Zika virus a public health emergency of international concern (PHEIC). That same month, the CDC elevated its response efforts to a Level 1 activation – the highest response level it has. As an international public health emergency, Zika has the potential to dramatically affect park agencies. Fearful residents and elected officials may demand mosquito control immediately. What are currently the most successful methods for eradication? Where do these mosquitoes live and breed? What comprises a good communication and outreach strategy? How do you get all of the stakeholders to the table? How much is this going to cost? Two counties will share their strategies, tips and mistakes made while trying to stay ahead of this potential health emergency. Chris is responsible for management, strategic planning, and operations of the Nature Preserves Division, which incorporates Mecklenburg County's nature preserve system, Environmental Education, Outdoor Recreation and the Natural Resources Sections. The Division of Nature Preserves and Natural Resources protects,manages and interprets Mecklenburg County's properties designated as Nature Preserves. The 26 Nature Preserves protect the county's biological resources and natural areas, while providing opportunities for environmental education, nature-based programs, and outdoor recreation. The Division's staff offer more than 5,000 programs annually, perform natural resource management, maintain more than 30 miles of nature trails, 7,400 acres, 3 nature centers, and a public campground. He has a Bachelor of Arts in Biology from UNC-Charlotte, a Master of Science in Applied Ecology and Conservation Biology from Frostburg State University in Maryland, and was designated as one of the Charlotte Business Journal's “40 Under 40" in 2004. He spent 12 years in private consulting before joining Mecklenburg County in 2009. His professional interests include aquatic and terrestrial habitat restoration, freshwater fisheries, stream restoration and stabilization and protected species management. Kristi Williams moved to Montgomery County, MD during the cold, cold winter of 2015. She kept warm by burning dated program guides and dreaming of moving program marketing to digital formats. She is diligently working to keep her tree-saving dream alive! Her previous experience includes forays into the digital realm for Louisiana Economic Development, the Louisiana Association of Business and Industry, and the Park and Recreation Commission for the Parish of East Baton Rouge (BREC). While at BREC, her marketing team won NRPA's Overall Kudos Marketing Award for three consecutive years. Williams held leadership positions in the Public Relations Society of America and the Southern Public Relations Federation. She is an accredited public relations practitioner and a certified parks and recreation professional with more than two decades of experience. She is a current member of the Maryland Recreation and Park Association. She has two degrees from Louisiana State University, a Bachelor's degree in Political Science and a Master's degree in Political Communication. While she lived in Louisiana, she learned to fear and love our friend, the mosquito. Jai Cole has 15 years of experience in Park and Recreation and is currently the Natural Resources Manager for M-NCPPC, Montgomery County Department of Parks. Cole supervises Natural Resources staff in Montgomery Parks who are tasked to manages the stewardship of 457 miles of streams, 26,000 acres of forest and more than 500 lakes, ponds and stormwater management facilities and devices in the 38,000 acre 5 time NRPA Gold Medal Award winning park system. Cole specializes in biological monitoring of streams, stream restoration, and the environmental review of projects being designed and built both internally and by external agencies on parkland. Cole reviews plans from concept through final design to ensure that environmental impacts are limited, the design is beneficial, the goals are feasible, and construction access routes and planned construction practices are minimal. I assist project managers in designing and permitting projects to comply with Federal, State, and County environmental and forest conservation laws, policies and plans. Cole serves as the primary point of contact for question, concern, and issues from other agencies, residents, politicians and environmental advocacy groups related to environmental issues. Her section also manages both the Department's Phase II NPDES permit and its NPDES Industrial Permit as well as provides GIS support to both the Park Planning and Stewardship Division and the Department as a whole. Cole has taught a Freshwater Ecosystems course in the USDA Graduate School for 4 years, taught 'Fundamental Ecological Principles' for the Maryland Master Naturalist program 3 times, has presented to Montgomery County watershed groups on various topics involving Natural Resource Management and stream health and I have presented over 30 times to the Montgomery County Planning Board. Like so many other overused HR buzzwords, it's time to send "employee engagement" to its death. There are still meetings going nowhere, committees doing nothing and initiatives on hold. Worse is that the group of people you're trying to engage - the employees - aren't even included in the initiatives, strategic visions meetings and other hoopla. Employees don't need or want to be engaged. They want leaders and managers who listen to ideas, mentor and coach, truly empower staff to deliver and create a work environment that fosters creativity, progress, fun and more. Employees want to be happy, not engaged. Let's remove the buzzwords and create an environment that allows staff to do what you hired them to do - be successful! 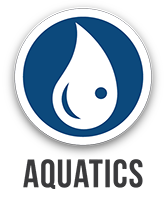 Since 2001 Rich DiGirolamo has worked with organizations looking to enhance thinking, create healthier and happier work environments, build better teams, design new programs, and create better relationships with customers, staff, volunteers and peers. He has worked with Parks & Recreation professionals since 2006 in the areas of engagement, program development and implementing creative and fun working environments. As a professional speaker he has utilized first-hand the techniques in his programs to keep his clients engaged; referring him and hiring him back. In short, he walks his talk. Rich is a Past President of the New England Chapter of the National Speakers Association where he used many of the ideas in his presentations to keep the board of directors and general membership engaged in the organization. He managed to do this in a time when association membership was waning in every industry. Rich has authored articles, published four books, and has appeared in the news – nationally and internationally; CBS Sunday Morning filmed one of his programs as part of a larger story on the importance of Play in people of all ages; and how it is used as a learning/engagement tool. Celebrated the third Thursday every June is Recess At Work Day; a fun opportunity to improve employee wellness, morale, and engagement. Rich is the founder/creator of this movement. Recess at Work Day has received attention and coverage by Sports Illustrated, USA Today and supposedly the Wall Street Journal (he received several calls from people, but never got hold of the article.) Rich is also the Founder/Chief Cook & Bottle Washer of the nonprofit organization DoubleDDiner.org Inc.; an organization dedicated to helping fight hunger in the United States. DoubleDDiner.org has been cited by Parade Magazine and International Creativity/Innovation Experts for it's unique and fun approach to fighting hunger. ​“I got this great idea from the NRPA Conference....” After viewing this idea-packed session, you'll be the one saying these words to your co-workers back at the office. Out of the 60+ recreational program ideas that are shared, you'll be sure to find a “must do” for your community. 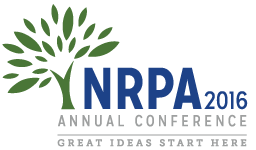 “I got this great idea from the NRPA Conference...." After viewing this idea-packed session, you'll be the one saying these words to your co-workers back at the office. Out of the 60+ recreational program ideas that are shared, you'll be sure to find a “must do" for your community. The course will feature an introduction to military recreation and new and innovative programming ideas that are being done at military installations around the world. Mrs. Elisabeth Weaver is currently the Head of the Recreation Division of the Morale, Welfare and Recreation (MWR) Department, Naval Station, Great Lakes. In her role as Recreation Director she oversees various high profile programs, such as the Liberty Program, The Loft and RTC Recreation Centers, Ross Theater, the Special Events Department, Sponsorship, Library, Outdoor Recreation and Marina, Community Recreation, and the Information, Tickets and Travel Office (ITT) which provide a recreation program that meets the needs of a total base population of more than 20,000. Ms. Weaver also oversees many other programs and projects for the local MWR Command, including the Great Lakes Internship Program.Mrs. Weaver has been with the MWR Department since January of 2003. After completing her under-graduate internships with MWR at the Naval Air Station in Keflavik, Iceland and at NSA Bahrain, she served a term as a park guide for the National Park Service at Carlsbad Caverns, in New Mexico. In January of 2005 she was hired on at Great Lakes as the Liberty Enlisted Sailor Program Coordinator and Assistant Facility Manager. After a promotion in August 2005, she took over the position of Special Projects Coordinator. During this position, Mrs. Weaver completed a 5 month special assignment deployment onboard the USNS MERCY during a humanitarian mission to south west Asia. She served the Navy as a “Fun Boss” (Afloat Recreation Specialist) and coordinated liberty port visits, tours, hotels, and recreational programs for the crew while they were underway. After a series of promotions, in January 2009, Mrs. Weaver was promoted to her current position. Mrs. Weaver was awarded the Naval Station Civilian Employee of the Year for 2006. Ms. Weaver was also awarded the Chicago Federal Executive Board Employee of the Year for 2007. In 2008, Mrs. Weaver received the John Pat Harden Practitioner Award from the Armed Forces Recreation Society. Ms. Weaver also received Supervisor of the Quarter for Naval Station Great Lakes in 2010. Most recently, in 2012, she was recognized by the National Recreation and Park Association (NRPA), and received the Armed Forces Recreation Network Rising Professional Award. Mrs. Weaver holds a Bachelor's Degree in Recreation, Parks and Leisure Services from Minnesota State University in Mankato. She also holds a Master's Degree in Management and Leadership from Webster's University, St. Louis, MO. In addition, Ms. Weaver is a certified facilitator for CSCR Star Service, FFR Genuine Leadership, FFR Workskills and FFR Workload Management Training Courses. She regularly facilitates training for the employees of the Fleet and Family Readiness organization at Great Lakes. Mrs. Weaver is also a Navy F&FR Intern Mentor. Mrs. Weaver is a member of Armed Forces Recreation Network (AFRN) and holds a position as vice chair on the network leadership team. In addition Ms. Weaver is an active member of the National Recreation and Parks Association (NRPA), and the International Festivals and Events Association (IFEA). I graduated from San Diego State University with a degree in Recreation Systems Management. I did an internship at NAS Miramar and then was hired a few months later. Have worked at NAS Miramar and now at MCAS Miramar. I have done a variety of jobs from recreation aid, recreation center programmer, assistant manager and manger, to Outdoor adventure center manager, assisted in the catering office, over saw the Enlisted and Officers' Clubs' entertainment, over saw the food services in the enlisted club and then back to my passion running the recreation center. I currently run The Great Escape, the active duty enlisted recreation aboard MCAS Miramar. Activities/Classes/programs I have facilitated: MCCS World Class Customer Service (for over 8 years), "Are you listening?" (for 4 years), worked with Robin Vannes (USMC MF) on educating MWR Marines (3 sessions), PMEs for units (size 10 - 150 Marines and Sailors), assisted in presenting a training session for joint services training. briefings to include and not limited to: Welcome aboard briefs, FOD/FRO talks, Educator's Workshop Tours, Emcee for Children's Christmas Carnival and Spring Family Fun Day, Coordinate and facilitate safe driving sessions at annual Health Fair. Acted as interim SMP Coordinator for MCAS Miramar (conducted meetings, presented information on a variety of MCCS events/programs). Presented with SMP executive committee at the 2016 SMP Symposium. Every park and recreation department manager is governed by either an elected or appointed body. It is virtually impossible to move your department forward if this relationship is negative. This session will show you how to cultivate a positive relationship with those that are ultimately responsible. Navigating the waters of political storms can be the difference between those that are successful and those that are not. Tom O'Rourke is the Executive Director of the Charleston County Park and Recreation Commission. Tom's Agency has been nationally recognized for operating an ever-expanding park system without the reliance on tax increases to fund growth. Tom has the direct oversight responsibility for over 10,000 acres of parkland consisting of a very diverse offering of parks, programs and services. Prior to joining Charleston County PRC, Tom was the Director of the Mt. Pleasant Recreation Department in Mt. Pleasant South Carolina, and also worked as Manager of the Sports and Recreation Division for Seamon Whiteside and Associates a Landscape Architect and Engineering firm. Tom's first job was as a high school Athletic Director and Coach. Currently Tom spends a significant amount of time educating park and recreation professionals. In the past three years he has spoken at 13 different State Association Conferences and has presented sessions at 13 NRPA Congresses. He is on the Board of Regents at the NRPA Revenue School, The NRPA Directors School and a past member of the Supervisors Managements School Board. Tom is the Chair of the Clemson University Parks Recreation and Tourism Management Advisory Board, the Charleston Area Conventions and Visitors Center Board of Directors and the Chair of the Charleston Area Sports Commission Board of Directors. Recreation is his profession, but his passion has always been coaching. Tom coaches Track and Field at the High School level and his area of expertise is the Pole Vault.